1. FAQ: Do we rent out mobile homes or take campers or tents? No. It is always nice to know your neighbour, therefore we do not rent out mobile homes or allow subletting. This creates a safe environment. Many of our families have owned mobile homes for 30+ years and enjoy knowing who is holidaying close to them. 2. Can I sub-let my mobile home? No. 3. Is Prospect a Pet-friendly Park? Yes! Prospect has its own dog walking field and allows most breeds of dogs to come on holidays. We only request that dogs are kept on leads in the park or on the decking at mobile homes and walked up in the dog walking field or off site. Pets of all shapes and sizes come on their holidays to Prospect for example cats, rabbits, hamsters, iguanas, gold fish and some even stable their horses locally! We have some brilliant vets locally and Prospect is also a proud supporter of the NWSPCA! 4. Can families from other holiday parks or holiday houses in the area use the facilities in Prospect? No. The facilities and activities are for the residents in Prospect Park only. 5. Are the swimming pools heated? Yes. We keep them between 28 to 30 degrees. 6. How are the mobile homes heated? It depends on the mobile home, some have a main gas fire and electric panel heating, while others have full gas central heating in all rooms. 7. When does Prospect Park Open? 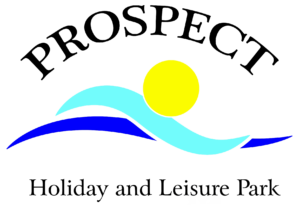 Prospect is open from St. Patrick’s weekend until October Bank Holiday Monday.